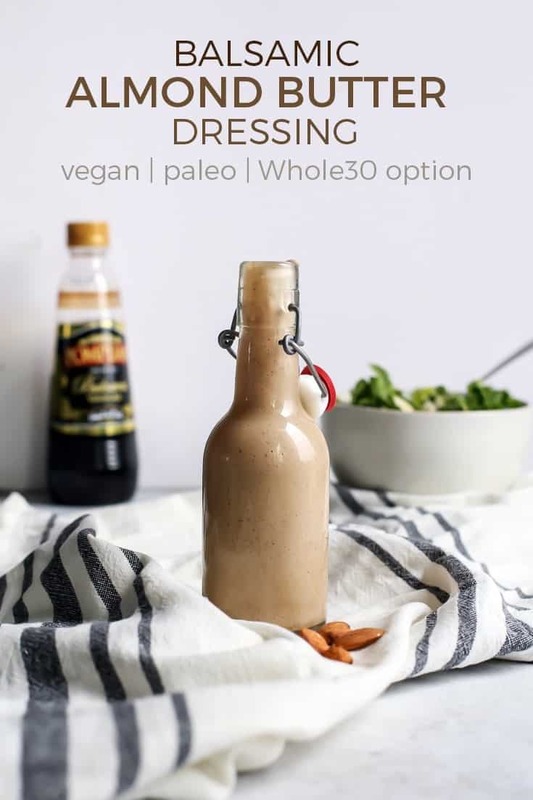 Have you tried almond butter dressing yet?? If not, you need to get on it. 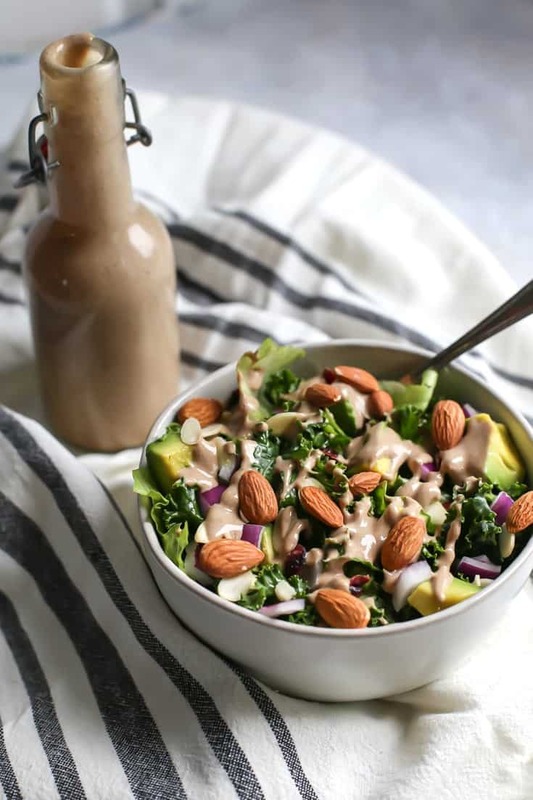 This Balsamic Almond Butter Dressing can be used in SO many ways – it’s a fan-favorite. Just six ingredients, vegan, paleo and can be made Whole30 with one simple sweetener swap. 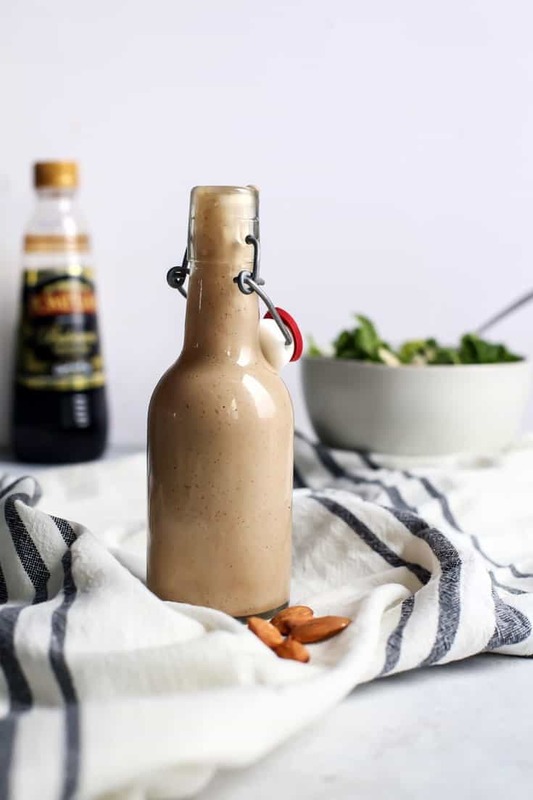 This Balsamic Almond Butter Dressing is da bomb(dot)com. I’ve made this so many times I’ve lost count. 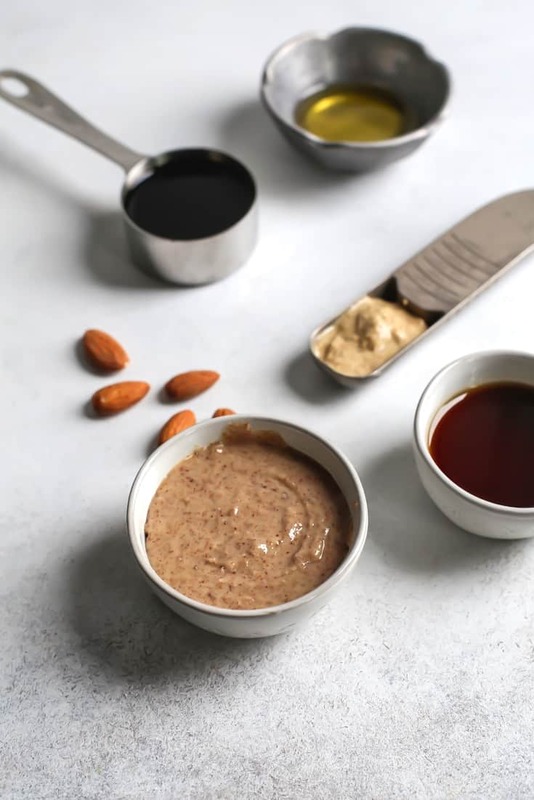 What started out as a newfound love for balsamic dressings turned into a delicious concoction of combining one of my favorite nut butters with balsamic. I’ve made numerous renditions with tiny variations but they’re basically all the same – AWESOME. I am fairly certain the first time I made this almond butter dressing was for this apple walnut salad. And then I realized it went really well with brussels sprouts. And then I made it with cashew butter for this kale & romaine salad. Also lovely. I actually made that salad when celebrating Canada’s Thanksgiving a couple of years ago and our friends were obsessed. 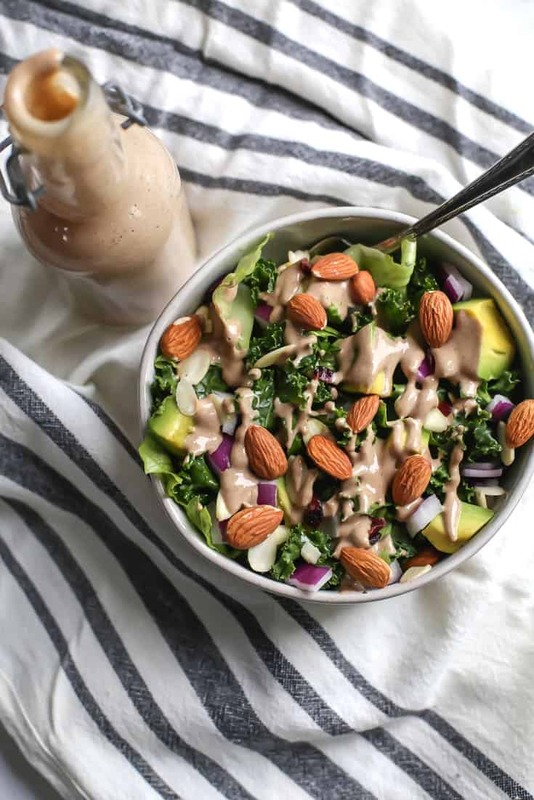 I’m telling you, if you want people to try (and love) kale in salads, this almond butter dressing is the way to go. I even got my father-in-law using it as a sauce for his steak one night. The mother-in-law also loves it. And THEN I added it to this lovely festive side dish last year for Thanksgiving. Which basically brings us to present time. 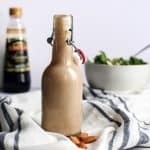 This balsamic almond butter dressing would be the perfect addition to your salad for any table. Then everything gets mixed into a small food processor or blender (I use my NutriBullet). You could also use garlic powder and whisk everything together in a bowl. Though I will say I prefer the blender route to get things nice and smooth – sometimes the almond butter is thick and harder to whisk/combine by hand. Maple Syrup – You could sub honey but may have to play with the ratio, as I am not sure honey is sweet enough on its own to help balance out the balsamic vinegar. You can also sub 2 large pitted Medjool dates if looking for a Whole30 swap. 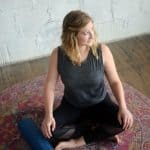 Almond Butter – I love swapping out the almond butter for cashew butter as well. If working with nut allergies, I assume sunflower seed butter would also taste pretty good! I just haven’t tried that myself. Tahini may be too strong for some, but if you like tahini (sesame seed butter) you can also sub that. And don’t be afraid to taste test after blending. I like a good strong balsamic flavor but everyone has different taste buds. Feel free to play around a bit with the balsamic and maple syrup ratio and adjust to your liking. I hope you guys enjoy! Seriously this is one of my go-to recipes for everything from salads, roasted veggies and even as a chicken or steak sauce. Add all ingredients to small blender or food processor. Blend until smooth, adding water 1 tablespoon at a time until desired consistency is reached. I typically add 3 tablespoons. Alternatively you could whisk in medium bowl, but using a blender or food processor is best. Taste test the dressing to make sure you’re alright with the vinegar-sweetness ratio, adding more sweetener or more balsamic to taste. Serve with salads, roasted veggies, or even as a chicken or steak sauce. Store salad dressing in covered jar in refrigerator up to 1 week. Dressing may get thick after sitting in fridge You can add a little bit of water and stir well with spoon before using. *Adjust according to taste. I like a good balsamic vinegar taste but if you’d like you can use less, or even a touch more if you prefer strong. You can also balance out with more or less maple syrup. **Could sub avocado, almond oil, or even pumpkin seed oil. Ah so sorry about that! Thanks for letting me know. It’s just 1/2 tsp 🙂 I will update! This was so great! Wanted something that was hearty but would pair well with some Italian sausage we were grilling. No one could put their finger on the secret ingredient – so delish! I only used about 1.5 TB maple syrup and it was fabulous. Thanks for the recipe! Awesome! Glad it was enjoyed 🙂 Thanks so much for your comment and review, Sarah! Hi. 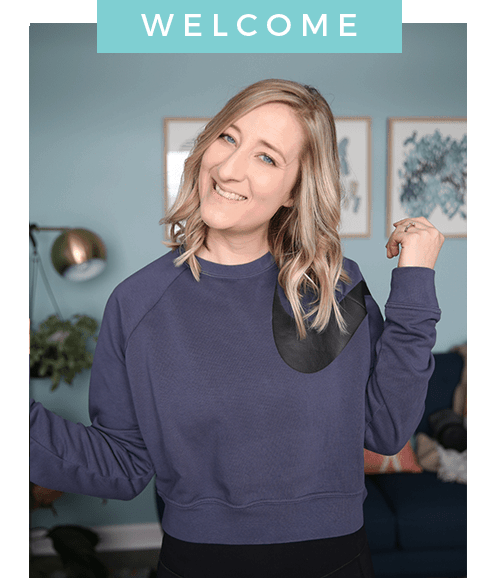 I’ve just been diagnosed with non alcoholic fatty liver disease and this recipe has all the ingredients that I’m allowed by the looks of it? Thank you! I simply cannot eat salad without dressing!